Home » Seasonal » What are Some Benefits to Putting Winter Tires on my Vehicle? What are Some Benefits to Putting Winter Tires on my Vehicle? Winter is right around the corner and that means that we all need to start preparing for the treacherous winter driving conditions. Roads that are wet, snowy or icy can present major challenges to drivers and can be a major safety concern. However, there are certain things that you can do to help you stay as safe as possible while traveling in the winter. One of the things that we highly recommend doing is installing winter tires on any vehicle that is going to be driven in a cold weather climate during the winter months. 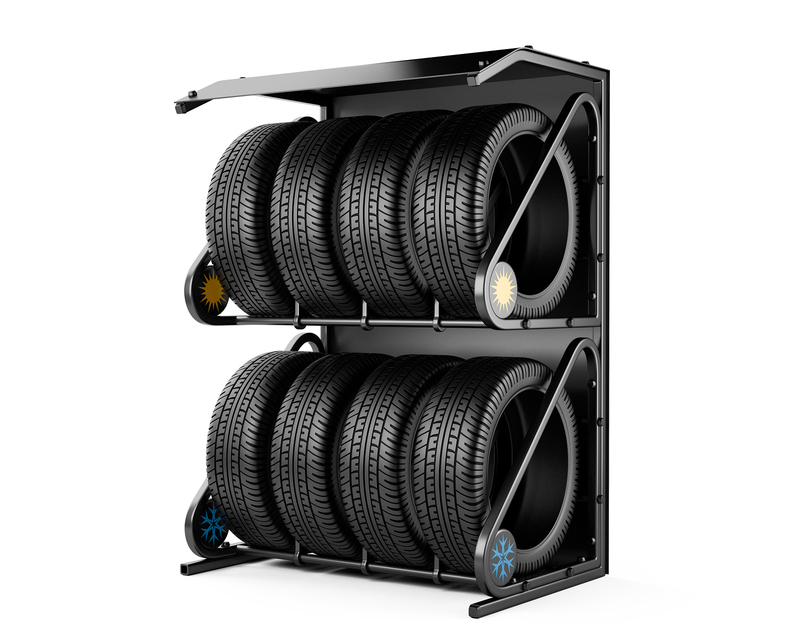 In this article we will discuss some advantages to putting snow tires on your vehicle. Continue reading to learn more about this story. Winter tires will be very beneficial to you when the temperature starts to drop. The rubber in summer and all-season tires becomes very inflexible when temperatures start to drop and this causes you to lose significant traction. However, this is not an issue with winter tires because the rubber has been specially designed to withstand the colder conditions of winter. During the winter months you will encounter everything from wet roads, to rain and even ice. This can make it very difficult for your vehicle to get traction, especially if you are using summer or all-season tires. However, the tread on winter tires has been designed to offer maximum traction in those conditions. Learn More Tips and Tricks! Another benefit to winter tires is that they have a decreased braking distance in cold weather conditions in comparison to summer or all-season tires. Winter tires will decrease your braking distance by 20 percent on snow and by 10 percent on wet surfaces. This improved stopping distance can often be the difference between getting into an accident and avoiding one altogether. Feel free to reach out to us here at Gil’s Auto Sales if you have any additional questions about the benefits of winter tires. We can also get you a pricing quote if you are interested in purchasing a set of winter tires for your vehicle. Hop along to fun activities near Columbus this Easter! This entry was posted on Thursday, November 24th, 2016 at 3:19 pm	and is filed under Seasonal. You can follow any responses to this entry through the RSS 2.0 feed. You can skip to the end and leave a response. Pinging is currently not allowed.